Ride-able plush ponies and unicorns offer a unique way to have fun and exercise at the same time. 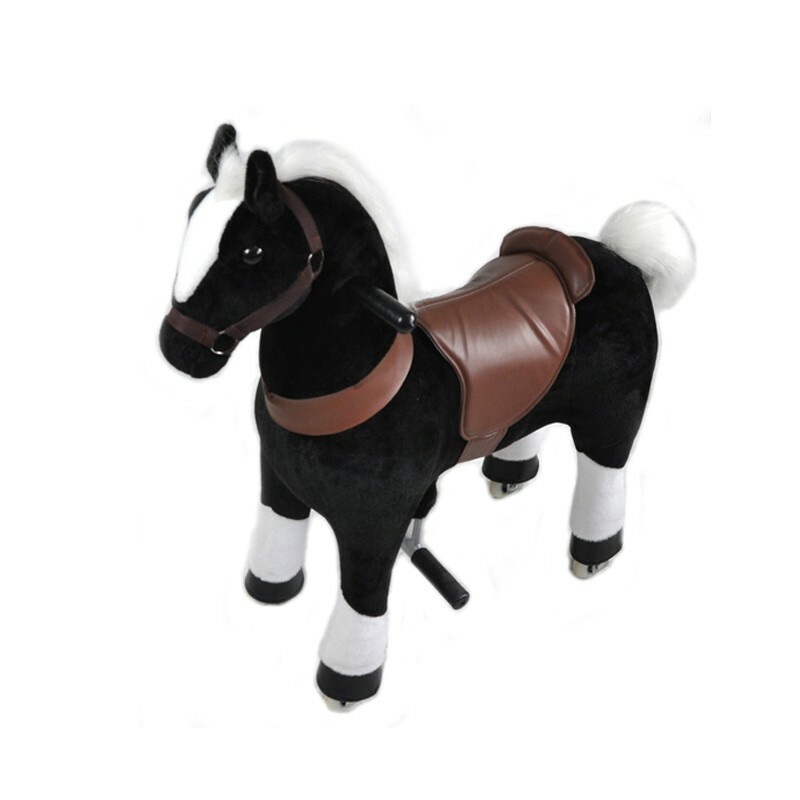 Simple to steer ponies are kid-powered, relying on up and down movement that mimics real horseback riding action. Realistic-looking ponies are easily assembled without tools. ASTM-certified. Five styles available in two sizes. Small suitable for ages 3-6 and maximum weight of 66 lbs.